The cash and products seized after busting a multi-level marketing scam recently. 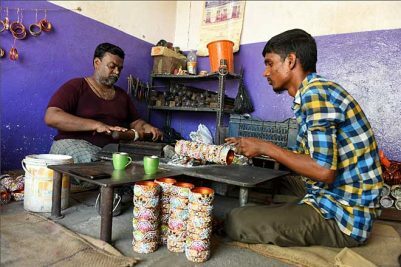 Hyderabad: The going gets tough for fraudsters trying to dupe people of money under the garb of multi-level marketing schemes. 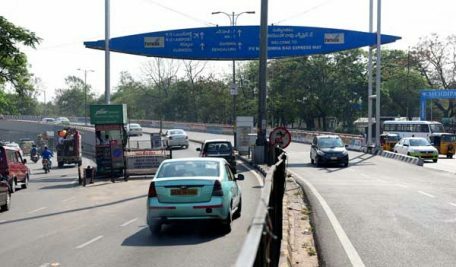 In about a year, the recently set up Economic Offences Wing of the Cyberabad Police has aggressively tightened the noose on MLM scams. It has so far frozen Rs 244 crore swindled by such firms through chain and direct marketing schemes. “Basically, money circulation schemes are a way of making quick money by enrolling people. It works as a chain where a person recruited is asked to recruit two more people. 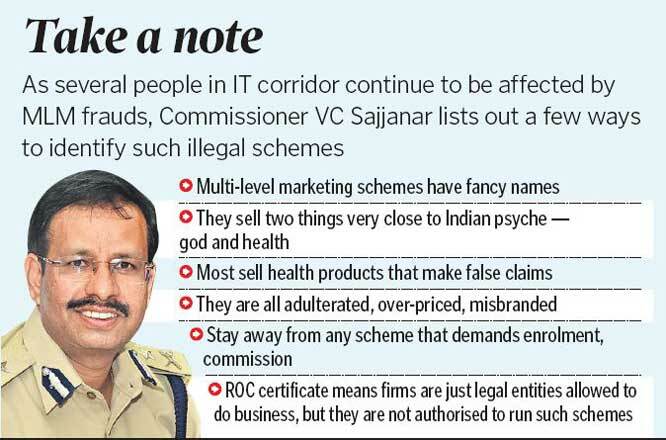 It moves like a pyramid where only the person at the top benefits, leaving others in the lurch,” said VC Sajjanar, Commissioner of Police, Cyberabad, who has been busting multi-level scams in Telangana for over a decade now. This kind of chain marketing is illegal under the Prize Chits & Money Circulation Scheme (Banning) Act of 1978. According to Section 3 of the Act, no person is authorised to promote or conduct a money circulation scheme or enrol any member to the scheme. If they do, they are punishable with imprisonment for a term which may extend to three years or a fine which may be up to Rs 5,000 or both. However, despite such a stringent law, such schemes continue to flourish owing to the social fabric of society. “These people come through our own friends and relatives. It is difficult to say no to our family and friends if they want us to join their scheme or sell us some products. Later, even if we learn about these scams, we hesitate to file a complaint to save our loved ones from any kind of harassment or prosecution. We do not think about the money lost at the moment. This is how these chains survive and continue to benefit the people at the top. They are not only destroying the fiscal system of our country but also damaging the well-knitted social fabric of our society,” said Sajjanar. ‘Telangana Today’ spoke to two victims who were duped by their own friends under the Q-Net scheme. The women, both IT professionals, lost Rs 8 lakh each after being promised quick money for their individual business venture. “A friend of ours called us out of the blue and told us about her new business venture that was flourishing. As we were also looking to start something on our own, we were duped into her chain marketing scam. We were promised quick money and huge returns on our investments. We were also put in touch with an agent who facilitated our loans from a bank. We were then asked to sell some products that were bought from our own money. We did not know that either,” they said. “Later, when we were asked to call our friends and family, we realised this was a façade. We were constantly asked to lie about our ‘amazing’ business. We hope we get back at least some amount of our money as we are struggling to pay back our loans,” said the victims.